Colds & Flu | My Gospel Workers | "Redeeming the Time"
1 Lemon; 1 Grapefruit; 1 Medium Onion; 2 Garlic Cloves; Pinch of Cayenne Pepper Directions: Chop Ingredients, add to approx. 1/2 quart of water and simmer for 20 minutes. Drink 1 cup every hour. 1 Cup Garlic (chopped); 2 Cups pure Olive oil Directions: Cover garlic with oil in a bottle and allow to sit for 7 days (Shake bottle daily). Strain oil into dark or amber bottle and seal with lid or top and refrigerate. 2-3 drops in ear is good for ear infections. Can be used for rashes, skin infections, lung or stomach infections (apply 2-3 times daily). 4 oz. Carrot; 2 oz. Celery; 2 oz. Fresh Beets; 2 oz. Cabbage; 2 oz. Cucumber; 2 oz. Spinach; 2 oz. Parsley Directions: Combine and drink 2-3 times per day. 1 Grapefruit; 1 Orange’ 2 Lemons’ 3 cloves of Garlic’ 1/2 of a large chopped Onion’ 3 drops of Peppermint Oil Directions: Chop the ingredients into pieces and place into a blender or food processor with enough water for it blend well. Add more water as needed. Then add the peppermint oil in last. Dosage: For adults, take one cup daily. For children, take ½ cup daily. Do not take doses all at once. Instead, take one spoonful each time, throughout the day. One medium-sized onion; Honey Directions: Place one or two drops of honey into a dish of finely chopped onions. Allow it to sit for three or four hours. You should sip a teaspoonful every hour, or if need be, every half hour. 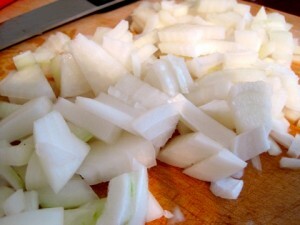 1/2 Cup Onion (chopped); 1 Cup Honey; 1/2 Tsp. Cayenne Pepper Directions: Mix well. Sit in warm place. Use 1 Tsp when needed. Chop onions and place in a double boiler. Pour raw honey over the onions, just enough to cover them 1/2 inch. Heat up the mixture on low heat for at least one hour. Onions should be clear, and the raw honey will thin out and will draw the properties out of the onions. Strain and press out liquid, and use as syrup. Take 1 teaspoon for your cough, or as needed. Hold the syrup in the mouth and let it trickle down the throat slowly. Add 1 ounce of licorice root powder, horehound herb, or wild cherry bark for extra properties that can help discharge phlegm. May be taken as often as every 15 minutes if needed.